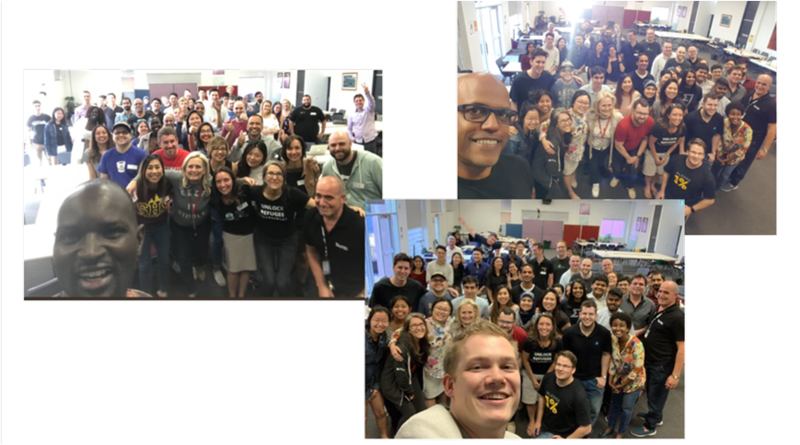 Techfugees Australia held its fourth hackathon in Blacktown with over 80 people gathering on a weekend to support newly arrived refugees. Supported by Federal MP Ed Husic, who again spoke about Techfugees and our NGO and corporate partners in the Australian Parliament straight after the hackathon. The weekend of 24 -25th of November 2018, Techfugees Australia held its fourth #hack4refugees in Blacktown. We locate our hackathons where refugees settle in consultation with our NGO partners and Dor Achiek from Settlement Services International (SSI) curates the themes and refugee stories. This year we had the youngest community of refugees and aa great turnout of women with SSI and STARTTS – an NGO addressing refugee trauma and psychological issues – there to support the teams. Blacktown, about 40km from the center of Sydney, is one of the largest and fastest growing local government areas in Australia and the heart of Western Sydney. It hosts residents from more than 188 different birthplaces, with 182 languages spoken. Blacktown is also home to Australia’s largest Sudanese and South Sudanese communities – this is the first time Techfugees has specifically addressed issues faced by recent arrivals from Africa, in part to combat negative and incorrect perceptions in the Australian media about “African gangs” and street violence. We take the food at our events very seriously because our Hackers are giving up a weekend of their free time. We always work to find caterers who have a connection to refugees and/or the local community. This year we had Ethiopian food from local Blacktown restaurant – Abyssina – to supply the nourishing and delicious food. This year the focus of teams was on young refugees and their access to opportunities in education, mentoring, scholarships and employment. In total eight teams submitted ideas to solve challenges inspired by these stories. You can see all the submissions here. 2nd Prize #Elevate – Connecting young refugees to opportunities and pathways to education, skills, employment, internships and work experience. 3rd Prize #FindMyself – Application, intended to be used within an institutional setting (school, university, library), that works on top of the Slack chat platform, that pairs up participating students randomly, with the option to choose to pair up with people from the same country of origin. Translaglass an early stage idea which had some challenges on stage demoing was very interesting too: the project aims to provide a cheap device that contains a camera that can teach words from a local language to the native language of the refugee. Mike Nicholls after the Hack ended. First Prize -$10,000 cash from SSI + Academy Xi Credit of $,4,000 and $100 Academy Xi boot camp for every team member, $2000 AWS credits. As we know the most important part of establishing a business is good mentorship and all the Winning Teams will be partnered with mentoring with startup community leaders: by Annie Luu, Investible; Ryan Cross, Ribit and Usman Iftikhar, Catalysr. Magic happens at Techfugees hackathons and this one really stood out. We were facing a significant last-minute challenge staging the Hack and local Western Sydney tech legend, Patrick Hamid (Vesuvio) who stepped in to address a supplied and managed the wifi over the weekend…just like that. Our youngest Hacker (Lokman aged 15) ever, who also won 3rd prize! Four techies who drove overnight from Melbourne to join us!  What Next? We are planning a meet-up in Sydney in March 2019. We hold a few meetups throughout the year and that keeps our community together and enable other people to get involved. We’re also exploring hacks in other Australian cities again next year!